The Department of Educational Studies offers two distinct undergraduate programs: (1) a major or minor in educational studies and (2) a preparation program for students intending to teach at either the elementary or secondary level.The department also offers a Master of Arts in Teaching (MAT) program for students preparing to teach at the secondary level. Given these programs, the department offers a comprehensive study of formal and informal educational institutions and practices, and the ways they are affected by social forces. Interdisciplinary by design, classes draw on diverse methods of inquiry to analyze critically the historical and contemporary ways that people educate and are educated in the United States and societies across the globe. Theory, research, and practice work together to help students become more informed as consumers and producers of knowledge in a variety of educational contexts. Students learn to ask questions about the relationships between knowledge, power, and identity in educational contexts, and to reimagine education and its contribution to a democratic society. The South Korea Study Group is a joint program between Educational Studies and Asian Studies. The program offers a dynamic experience for any Colgate University student due in part to its efforts to become a leader in the newly forming globalized world in which we live. South Korea is highly regarded for its rapid modernization, yet the people still hold to its traditional ways in mind and spirit. While the focus is on students’ development of educational studies theory and practice from a global perspective, they also gain a fascinating sociocultural experience. Students enroll in four courses. The Director provides two courses for the students, one of which provides an opportunity to design a research project with a fieldwork component. Students then take two courses from the host university, Yonsei University. Yonsei offers a variety of courses in English. One course must be on the topic of Korea or East Asia. Prerequisites normally include EDUC 101 and at least one course in Asian Studies. The Philadelphia Study Group offers students who are interested in a wide range of questions in and around education, urban studies, public policy, and social justice a full semester of coursework and experience in one of the most historically iconic and dynamic cities in the world. Lauded as “the birthplace of American democracy,” Philadelphia will be the backdrop through which the program will critically engage in an exploration of contemporary education policy and its relationship to material questions about the changing spatial and demographic topographies of American cities and theoretical questions about changing relationship between the public and the state. In close conversations with students, teachers, families, and community members, this program will provide an experimental platform to gain a more robust understanding about the issues surrounding contemporary education and urban policy and the community-based struggles that have emerged in response. The Award for Excellence in Childhood Education — awarded by the department for excellence in elementary student teaching. The Award for Excellence in Adolescence Education — awarded by the department for excellence in secondary student teaching. The Charles H. Thurber Award — named after the first professor of pedagogy at Colgate (1893) and awarded by the department to an outstanding senior major. Students must complete a research methods course prior to undertaking honors research. In the senior year each candidate submits an honors paper that must be defended orally before a department honors committee. Additional information for honors candidates is available in the department office. The preparation of teachers is an all-university responsibility, generally directed by the Department of Educational Studies. The program encompasses liberal studies in education as well as studies and experiences designed to develop teaching effectiveness and professional leadership. The emphasis is on developing the student’s ability to relate knowledge and theory to skillful teaching in the interest of promoting greater social justice and environmental sustainability. Colgate’s undergraduate adolescence and childhood certification programs and the MAT adolescence programs are accredited by the Teacher Education Accreditation Council (TEAC) for a period of seven years from May 7, 2014 until May 7, 2021. Students interested in pursuing teacher certification in New York State are strongly encouraged to have taken EDUC 101 , one of the Social and Cultural Diversity in Schooling, Teaching, and Learning classes and one of The Nature of Childhood Education and Development courses prior to the end of their sophomore year (see definitions below). Students who wish to enter the program should submit an application to the director of teacher preparation as soon as possible. An overall Colgate GPA of at least 2.50 is required at the time of application. Application materials include a letter of intention by the student and a letter of recommendation by a Colgate faculty member. Acceptance into a teacher certification program does not guarantee acceptance into the student-teaching semester. Students are tentatively approved for student teaching in the spring of their junior year. Final approval depends on successful completion of all prerequisite courses in their program by the end of the spring term. A decision is made by the department to approve a candidate for student teaching based on previous academic performance at Colgate as well as the apparent suitability of the candidate for the teaching profession. The student must also submit to the program a letter of recommendation written by an individual who has observed the student in some teaching/learning capacity in a school setting. In general, the following GPA requirements will apply: for the secondary teaching programs, students should maintain a 3.00 GPA in education courses, 3.00 in the teaching field, and 3.00 overall; for the elementary teaching program, students will be expected to have a 3.00 GPA in education courses and a 3.00 overall. Candidates for teacher certification in New York must pass competency examinations prepared by the State Education Department. (For comparative data from Colgate and other teacher education programs within New York State see www.highered.nysed.gov) Initial certification is available to U.S. citizens and to non-citizens who have completed a letter of intent to become a U.S. citizen. Teacher certification students are required to spend a minimum of 100 hours in a variety of field experiences related to coursework prior to student teaching. Please note that completing certification requirements is not the same as majoring in educational studies. Students who wish to gain New York State teacher certification have the option of completing their professional semester in the fall term following graduation as part of the ninth semester program. To be eligible for this special program, students must have received their Colgate degree in the academic year prior to the professional semester and completed all other certification prerequisites prior to enrolling in the ninth semester. In the ninth semester, students are allowed to enroll only in the professional semester courses, which consist of two or three seminars (depending upon adolescence or childhood certification) and student teaching. 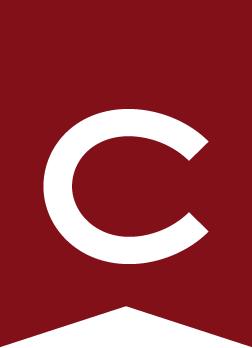 Students admitted into the ninth semester program will be charged a small administrative fee (currently waived), must meet the usual requirements for enrollment at Colgate (such as proof of health insurance), and are responsible for locating their own off-campus housing. Students interested in the ninth semester program should meet with an educational studies faculty member to determine if they are eligible and apply to the program in the spring of their senior year. There are three ways to become a certified school teacher at Colgate. The first is the undergraduate teacher education program, which can be completed in the four-year undergraduate period, that certifies successful candidates in childhood education (grades 1–6). The second is the undergraduate teacher education program, which can be completed in the four-year undergraduate period, that certifies successful candidates in secondary education (grades 7–12). And the third is through Colgate’s MAT program. The MAT program certifies only at the secondary education level. Colgate’s undergraduate certification programs and the MAT adolescence program are accredited by the Teacher Education Accreditation Council (TEAC) for a period of seven years from May 7, 2014 until May 7, 2021. Successful completion of all requirements in all certification programs leads to recommendation for New York State initial teacher certification.